Canada, Germany (2017), 46 min. As a child, Kent Nagano was touched by the passion of an exceptional music teacher. He embodied this passion and took over him the mission to transmit it to the largest public possible. 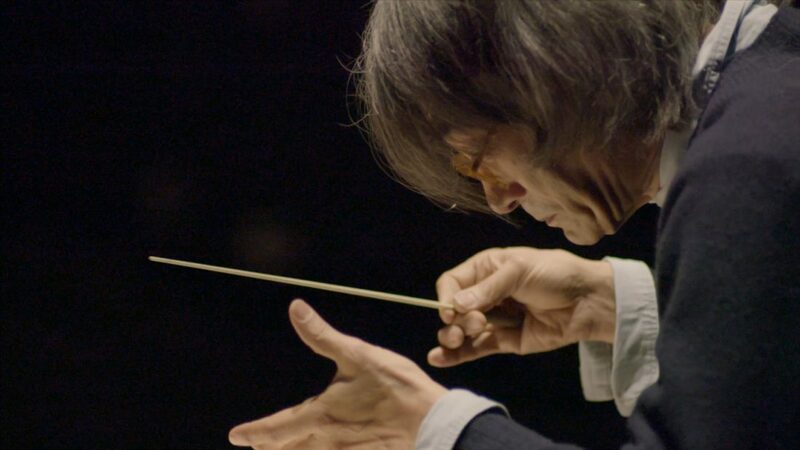 The documentary film, The Mission of Kent Nagano follows his actions to reach his public wherever it stands. It follows him and his family to his hometown Morro Bay in California. It studies the «Montreal Miracle»; his work with the Montreal Symphonic Orchestra and the concrete results of the preschool program Music for Children in a public school in Montreal North. It follows him to Hamburg where he directs The Magic Flute with teenage amateur musicians with the same rigour he opens the G20 with the Hamburg Philharmonic in front of all heads of state (Trump, Trudeau, Macron, Putin, Merkel). “I was not a child prodigy. My love of classical music stems from my childhood because I was lucky enough to be born into a particularly art-minded environment.